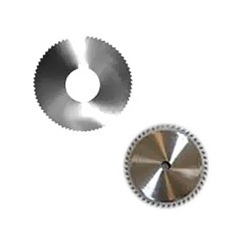 With our expertise in this domain, we are able to offer Industrial Cutters. 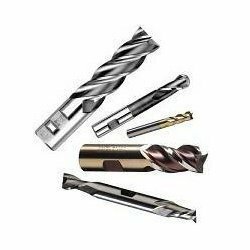 Under this category, we offer our customers a wide range of Special Form Cutter, Solid Carbide Woodruff Cutter, Ball Nose Cutter and Solid Carbide Slitting Cutter. The offered cutters are fabricated under the strict surveillance of our professionals in accordance with industry standards. All our offered cutters are quality tested on varied parameters, before the final delivery. Our organization is counted among the most distinguished manufacturers, suppliers and traders of Cutting Tools. These products made by the professionals in conformation to meet the specific requirements of clients. 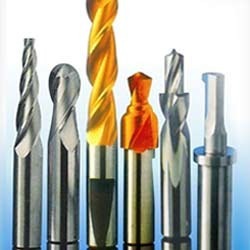 The offered cutting tools are appreciated among the patrons for their features such as longer life, dimensional accuracy and durable finish standards. Moreover, our professionals ensure that only defect-free range is delivered at the customers' end within the stipulated time-frame. 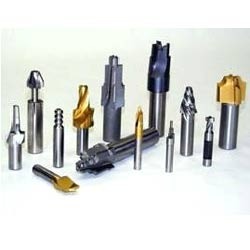 With thorough knowledge of the industry, we are engaged in manufacturing, supplying and trading Solid Carbide Woodruff Cutter. These cutters are designed and manufactured by the professionals employing quality raw material, which we procure from esteemed vendors of the market. Before the final dispatch, a group of quality controllers rigorously inspects the functionality of these cutters on varied industry laid grounds. In order to fulfill the changing demands of our clients, we are offering Special Form Cutter. We offer these special form cutters to the clients in different sizes and shapes in order to meet the customers' needs. The offered cutters are appreciated in the market for their precise patterns, excellent strength and high durability. Moreover, we provide customization of our range is also provided by us in order meet the clients' requirements. We are committed to offer our clients with Ball Nose Cutter. These are manufactured by the experts using quality material, which is sourced from the reliable vendors. The offered nose cutters are ideal for machines with 3-dimensional contoured shapes in machining centers. These nose cutters are offered by us in customized sizes and dimensions to meet their requirements. We offer these products to the customers at industry-leading prices. 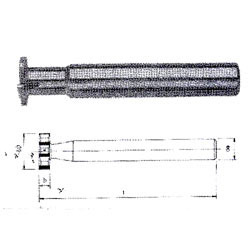 Backed by the profound industry experience, we are presenting Solid Carbide Slitting Cutter. The offered slitting cutters are manufactured by the experts as per national and international quality norms and standards. Customers can avail these slitting cutters from us in variegated sizes and specifications as per their needs. Moreover, the cutters offered by us can be availed by the clients in varied patterns, sizes and shapes in order to meet their requirements. 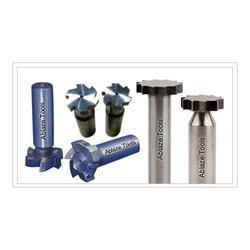 To furnish the diverse requirements of our clients in the best possible manner we are involved in offering an extensive range of Solid Carbide Profile Cutter. Looking for Industrial Cutters ?